" Thanks to the Reverse Feasibility Program and Scimega’s ability to attract pertinent clinical trials to Canada, several of my patients were able to live significantly longer and our site was the top enroller and first author "
" We see a clear need to give our patients access to more clinical trials. The Reverse Feasibility Champions Program provides an opportunity for us to link up with drug developers in the United States who are in need of sites like ours with an expertise in early phase oncology clinical trials. " 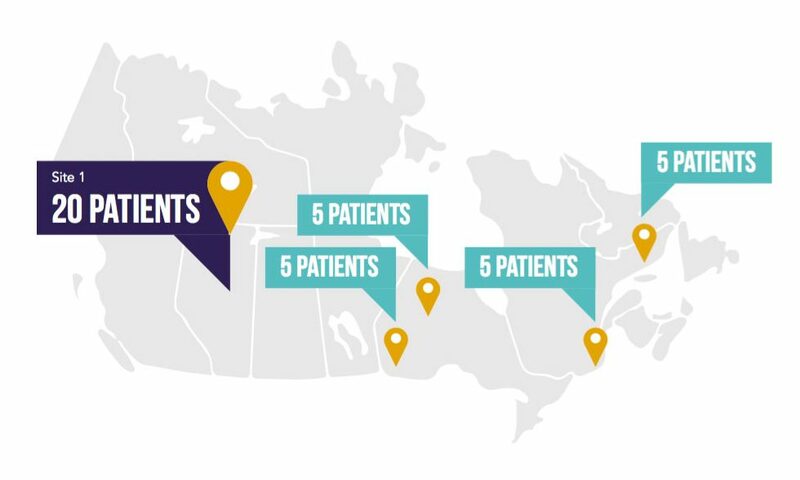 Represent Canada and get access to the indications and lines of treatment you’re looking for. access to cutting-edge trials in the indications and lines of treatment you’re patients need.